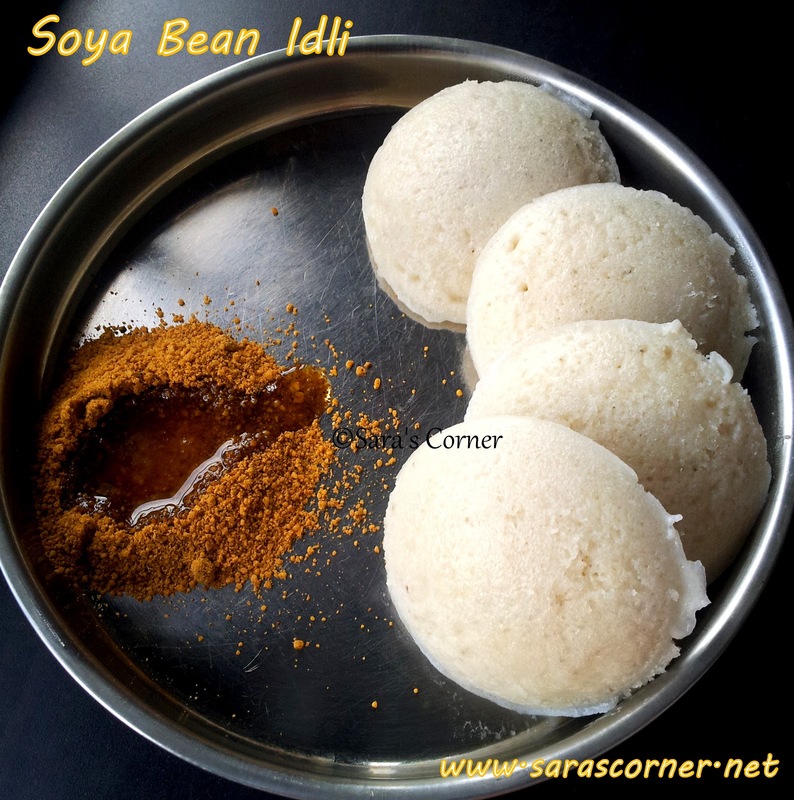 I have already posted recipes for Idlis here, this time when my Mother in law told about this, I have been adding soya bean to batter. Its very healthy and perfect for breakfast and dinner. Soak rice separately and dals separately except salt for 5 to 6 hrs. Grind soaked dals first to fine paste and then grind rice. Add salt and mix well by laddle or hand. Grease idli plates with Oil/ Gingely Oil. Pour the batter and close the lid. Steam it for 12-15 mins. Check with a spoon or fork. If it comes out clean. Off the stove. Delicious Soya Bean Idlis are ready to Serve. Enjoy it with Sambar or Chutney and Filter Coffee/Kapi! I have served it with Chutney Pudi/Chutney. You can also prepare dosas with this batter. Notes - Can also add soyabean to your own proportion. Healthy and soft soft idly. a brilliant way to incorporate soya in the meal Sara! Idli's could not get more healthier! looks so soft! definitely healthy.. Do u hv any smell of Soya in this? Wow....what a idea.....brilliant...healthy way of eating idilis.